I installed mysql and enabled SSL on it. And I was just wondering how to see if the encryption is really working. I dont know what SSL protocol mysql uses for encryption. So I started wireshark and captured login using a remote machine. but inorder to see the SSL/TLS you need to decode the packets as SSL. The SSL handshake does not occur first, but is followed after a few mysql packet exchanges. I was trying to enable SSL on mysql in Ubuntu 14.04 and it was not easy. 1. Install simply, apt-get install mysql-client mysql-server and set a strong root password. 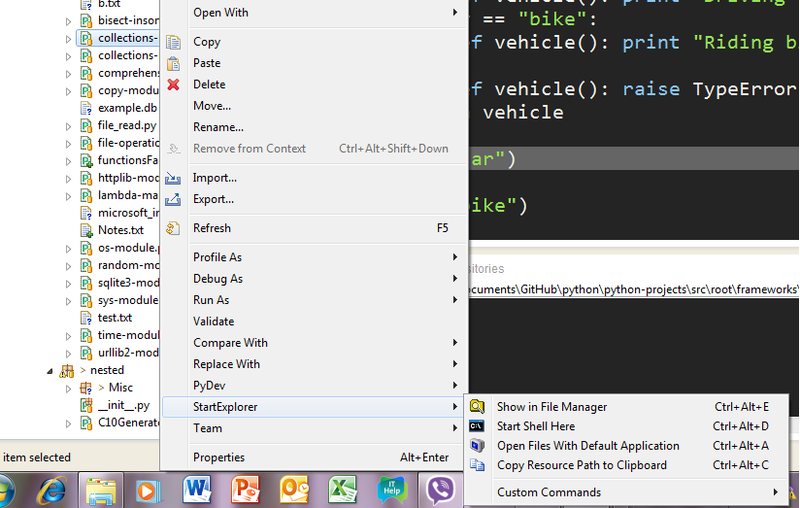 pydev - Python development on eclipse. Yeah, I know what you have been thinking. 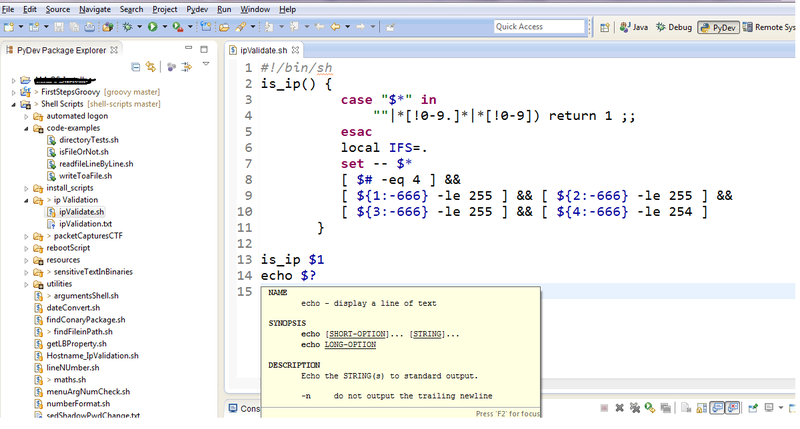 IDE for shell scripts, vi or the Linux editors are the best thing to write a shell script. However, if you want to keep a project like structure for shell scripts for reference and to show or explain the shell script to anyone, this eclipse editor comes in handy. Not a replacement for vi though. Another limitation for windows users is that you do not have anything to run and test the shell script if you are on windows. This works pretty well with Shelled, when you are on windows but you want to refer to the man pages in Linux. That was the only use I could find in windows. Although using eclipse to access remote file systems through SSH/telnet/RDP sounds crazy but this is very handy while working with shell scripts using the shell script editor shelled. You can readily scp the files to your test machine and execute the scripts right from the eclipse console. You can find it on the eclipse market place. 8. StartExplorer: Starts an explorer or a command prompt at the location of the file in eclipse. Labels: Eclipse plugins and Programming Fucks, marketplace m2eclipse startexplorer pydev "shell script development in eclipse" jadclipse "best eclipse plugins" "linux tools in eclipse"